In our little kitchen we have produced a new product. 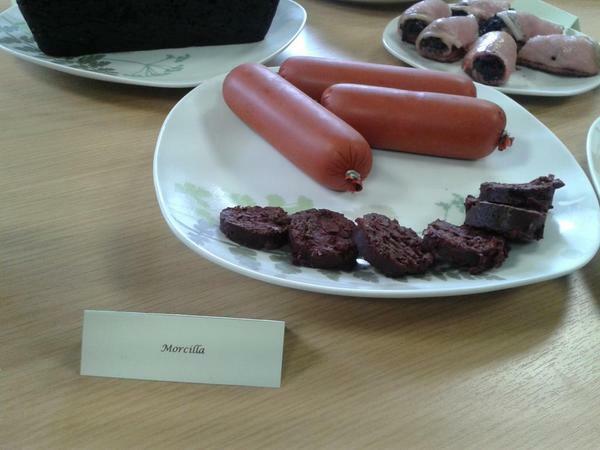 Morcilla. This is the spanish Blood Sausage, it contains peppers and rice. We also make a fiery Morcilla which has a bit of a kick!